As if we aren’t already all inclined to use Google over other search engines already (mostly due to its efficient and extensive search result capabilities and user friendly interface), the Google Doodle just ads to the excitement of performing a Google search. “Google doodles” are the surprising, quirky and fun graphics added to the internationally recognised logo, that is, Google. These doodles are used to celebrate holidays and famous people’s birthdays or anniversaries. But just how did this all come about? 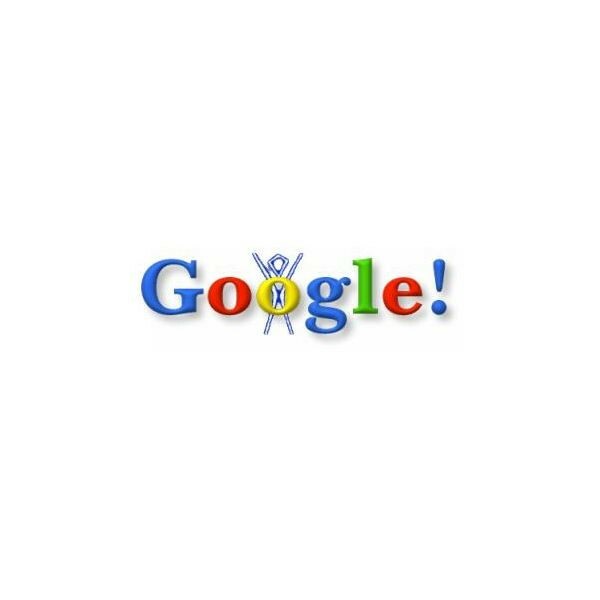 Google founders Larry and Sergey originally played with the idea of using a stick figure behind the “o” of the logo (illustrated below) to indicate that they were “out of the office”. Whilst this was initially a simple idea (back in 1998), the idea grew and developed into something that is now used for important events, dates and birthdays. Over time the doodles have become more popular and there is therefore now a team of illustrators solely responsible for these entertaining illustrations. These illustrators have created over 2000 doodles to date and continue to make the world smile when they open the search engine. They are done mostly because Google has a love for innovation and engineering of new ideas. And inspiration and ideas is definitely not lacking for this powerful illustrating team. 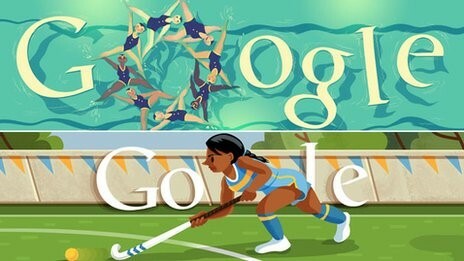 The recent Olympic Games was particularly inspiring for the Google Team, they chose to illustrate a different sport for everyday of the games (see some examples below). The Google Doodles are not only a form of artwork but offer bored office workers all around the world an interesting fact or funny picture to distract them from their otherwise mundane day! These pictures can take hours (some even months) to complete and are seen by millions of people every day! The team’s creative lead, Ryan Germick, is not intimidated by the amount of people who view his artwork, he prefers to focus on the creativity and making people in the office laugh. Illustrative Process behind doodles (this one was a nod to Mark Twain). It is worth noting that one of the largest brands in the world breaks the fundamental rules of branding (consistency), each and every single day! They choose to keep things fresh and interesting, whilst they keep their “name”, the image of their brand changes all the time. There is only a handful of brands that have the luxury of being as well recognised as Google (see some of these other brands) – you don’t need to see their logo to know you’re on their page. So who are the masterminds behind these Doodles? Well, they choose not to take credit for their work – “It’s not about us as individuals, it’s about Google as a culture,” says Germick. This speaks volumes of this power house brand! Jasmine Montgomery, chief executive of marketing company Seven Brands says that the doodles form part of a well-designed customer experience. 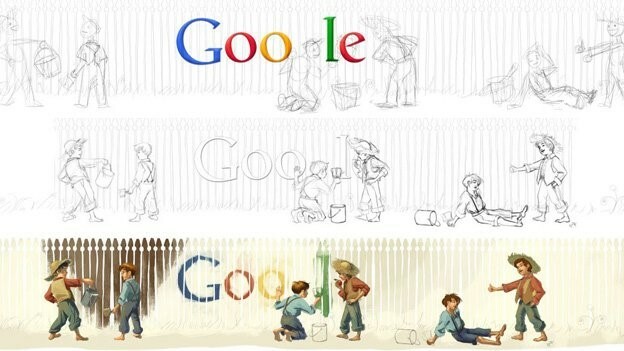 Montgomery compares Google to a hotel and says that the doodles are a hotels equivalent of a nice entrance hall. The doodles are fun charming and playful and but most of all they are relevant. And as long as the company retains its authority in the “browsing” world, these sketches or doodles will serve as a form or art, entertainment and branding for Google for the years to come!